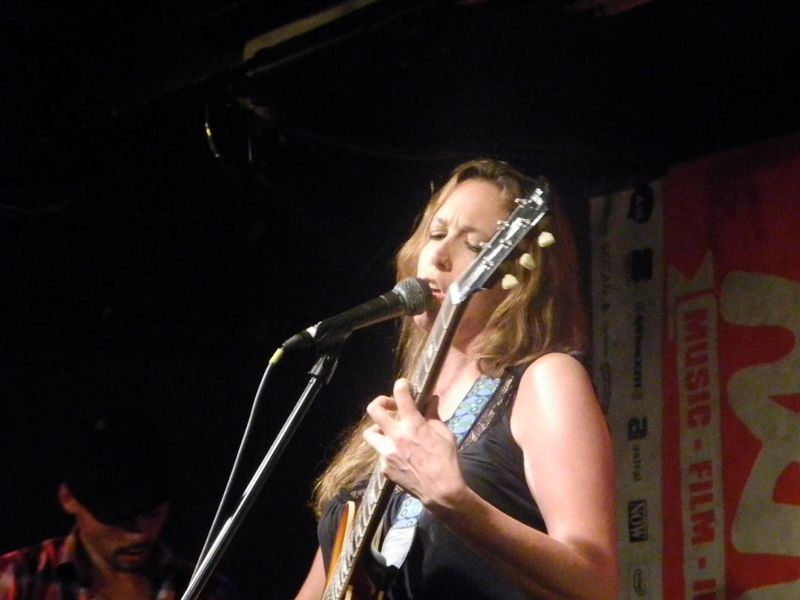 With one final post, let’s wrap up coverage of a very hectic and talent-filled Day 6 of NXNE! Desiring a little bit of a chill-out after a punk-saturated afternoon, I slipped off with friends to the Rivoli to catch two rather enchanting female artists, one of whom has been on my list of “to-see” artists since 1997. Man, that makes me feel old. Let’s move on to the music. Remember the Lilith Fair heyday, when women blew our minds with soul-searching lyrics and engaging melodies instead of shooting whipped cream from their breasts? It was such a wonderful time in music, a delicious “damn the man” to every executive who swore female artists couldn’t carry the full billing of a show. A former member of fellow NXNE performer Bran Van 3000, Sara Johnston has since broken away and gone solo, parlaying soulful lyrics and folk-rock sounds into an engaging set. Delicate vocals twisted with the grit of experience leave Sara coming across as earnest yet someone to be related to. I was reminded of Sheryl Crow’s second album (her best, hands down) and its bittersweet vibe throughout the set, which for me was a huge plus. The pulsing drums prevent the music from slipping into a lull, energizing her work and keeping pace with her strong pipes. 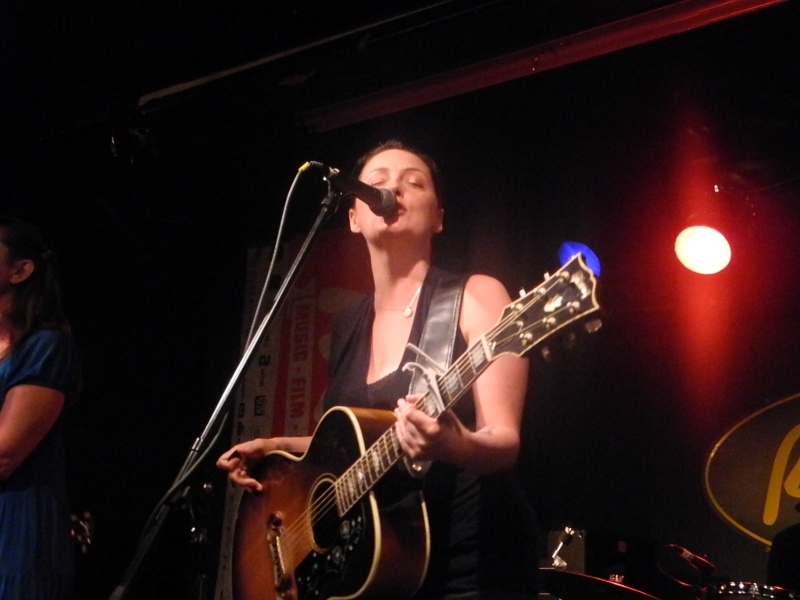 Sara deserves more attention; hopefully she’ll find it after her grand showing at NXNE. Recommended. The mid-late 90s were a rough period in my life. Then, as I do now, I turned to music for understanding, comfort and catharsis. One of the artists whose work featured in regular rotation was Holly McNarland, specifically her album Stuff, which I discovered via the aforementioned Lilith Fair’s sampler cassette (oh Christ, I feel old… and yes, I still have the tape). For one reason or another, it never worked out for me to see her perform live. Until NXNE came along, of course. Where does one begin to express the sheer delight of finally hearing an artist live whose work helped tether you to the mortal coil? It truly isn’t possible, and I trust that small half-confession will justify any fangirl moments herein. What I will say is this: Holly was worth the 15-year wait. Her gorgeous acoustic-drenched pop-rock music is still delivered with that powerhouse of a voice that is at turns delicate and swells to the roar of a lioness. While none of my dear favourites from Stuff made an appearance, they wouldn’t have gelled with the new material (perhaps “Water” may have) and besides, it was so much better to hear fresh songs in what felt like far too short of a set, capped off with “Beautiful Blue”. Beyond her talents, Holly is also an incredibly patient and friendly artist, chatting with fans post-show and indulging requests for photos and autographs with enthusiasm and graciousness. It’s wonderful to feel that there is that mutual appreciation between an artist and fans, a circular flow of energy that keeps the creative fire kindled. Here’s hoping that Holly’s newest release, Run Body Run, is embraced with the love and acclaim it deserves. Highly recommended.